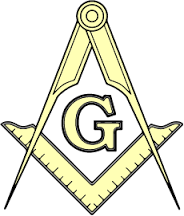 Mount Vernon Lodge No. 219 A.F. & A.M. – "Friendship, Morality, and Brotherly Love"
…is located on the original land tract owned​ by George Washington’s estate which was part of his five Mount Vernon farms. We host the Mount Vernon Flea Market the third Saturday of the month April through September. The dates for this year’s events are: (April 20, May 18, June 15, July 20, August 17, and September 21). Thank you in advance to all our sellers and buyers who will made 2019 a great year.